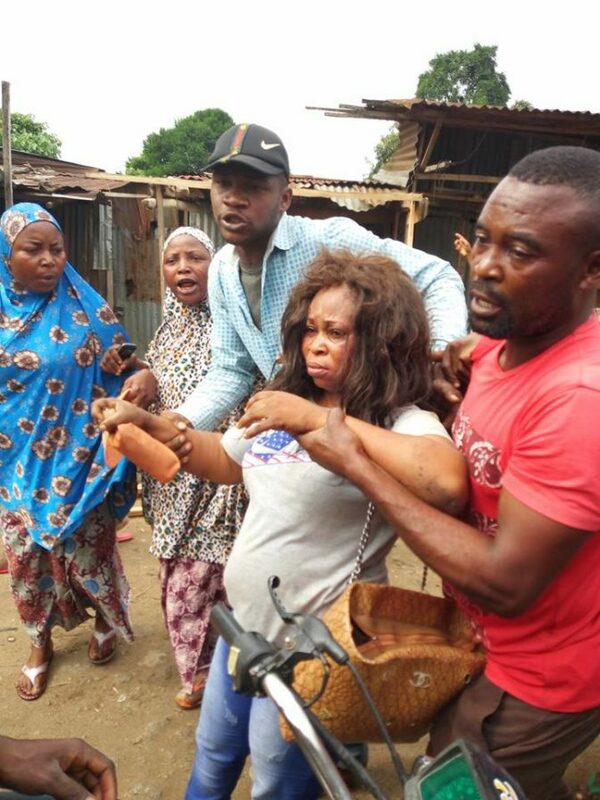 The woman pictured above was caught and given the beating of her life by an angry mob after she allegedly stole a two-month old baby whom the mother finished breastfeeding at a popular market in Imo state. "MOTHERS PLS READ FOR YOUR CHILDREN SAFETY. This happened this morning @mammy market inside obinze, owerri west Imo state Nigeria. 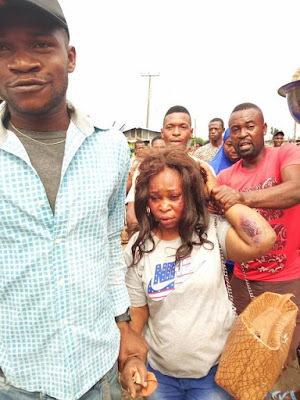 This woman showing on your phone screen kidnapped a two months old baby whom the mother finished breastfeeding about to dress the baby's bed only for her to turn and see a strange figure making away with her baby. Her loud scream attracted her neighbors who intervened and drove the evil lady down to the hands of the police where she will explain better after receiving sever torture from the angry neighbors. PLEASE MOTHERS BE VERY CAREFUL WITH YOUR CHILDREN, ALWAYS ASSURE THEIR SAFETY BECAUSE THESE CHILD THIEVES ARE EVERYWHERE. I THANK THIS BABY'S GOD FOR SAVING HER FROM UNKNOWN FATE."